Actor Chris Pratt attends the 2016 MTV Movie Awards at Warner Bros. Studios on April 9, 2016, in Burbank, California. Charlize Theron attends the 2016 MTV Movie Awards. Common and Jason Mitchell at the 2016 MTV Movie Awards. Actress/model Cara Delevingne attends the 2016 MTV Movie Awards at Warner Bros. Studios on April 9, 2016, in Burbank, California. "Jurassic World" star Jessica Chastain attends the MTV Movie Awards. "Straight Outta Compton" actor O'Shea Jackson Jr., Corey Hawkins, recording artist Common, actors Neil Brown Jr., Jason Mitchell and Aldis Hodge attends the 2016 MTV Movie Awards at Warner Bros. Studios on April 9, 2016, in Burbank, California. "Pitch Perfect 2" co-stars Chrissie Fit, Brittany Snow and Kelley Jakle attend the 2016 MTV Movie Awards at Warner Bros. Studios on April 9, 2016, in Burbank, California. Lizzy Caplan attends the 2016 MTV Movie Awards. Seth Rogen at the 2016 MTV Movie Awards. Actors Hugh Sheridan and Rebel Wilson attend the MTV Movie Awards. "Game of Thrones" actress Emilia Clarke attends the 2016 MTV Movie Awards. "Allegiant" star Miles Teller and actress Keleigh Sperry attend the 2016 MTV Movie Awards at Warner Bros. Studios on April 9, 2016, in Burbank, California. Actor Ed Skrein attends the MTV Movie Awards. Model and reality TV star Kendall Jenner attends the 2016 MTV Movie Awards. Comedians Jordan Peele and Keegan-Michael Key, a.k.a. Key & Peele, attend the 2016 MTV Movie Awards at Warner Bros. Studios on April 9, 2016, in Burbank, California. "Modern Family" and "Pitch Perfect 2" star Adam Devine attends the MTV Movie Awards. Model Gigi Hadid attends the 2016 MTV Movie Awards. "Awkward" star Ashley Rickards at the 2016 MTV Movie Awards. David Eason and Jenelle Evans at the 2016 MTV Movie Awards. Sandra 'Pepa' Denton, DJ Spinderella and Cheryl 'Salt' James of Salt-N-Pepa attend the 2016 MTV Movie Awards at Warner Bros. Studios on April 9, 2016, in Burbank, California. Actors Andy Samberg, Jason Mitchell and Jorma Taccone attend the 2016 MTV Movie Awards at Warner Bros. Studios on April 9, 2016, in Burbank, California. Singer Halsey attends the MTV Movie Awards. "Real World" personality Jenna Thomason at the MTV Movie Awards. Singer Mike Posner goes undercover to attend the MTV Movie Awards. Actress Carrie Keagan at the 2016 MTV Movie Awards. Internet star Ricky Dillon attends the MTV Movie Awards. "Teen Mom" star Farrah Abraham at the MTV Movie Awards. 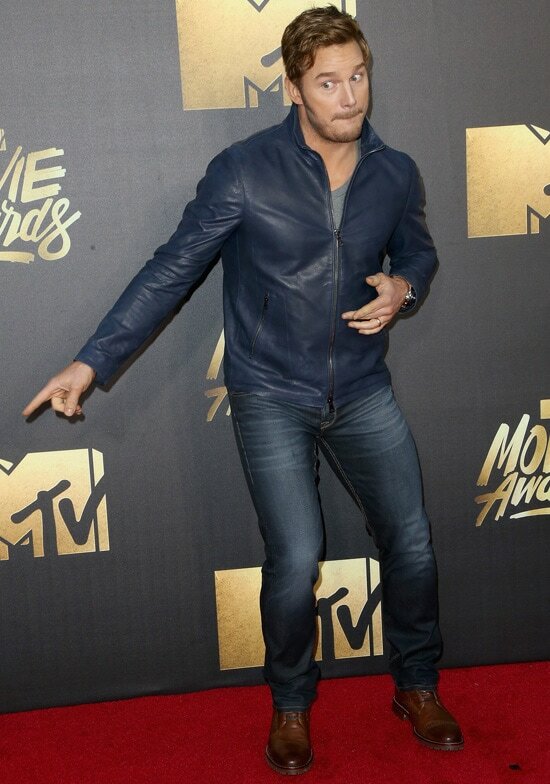 "Arrow" star Stephen Amell attends the 2016 MTV Movie Awards. Internet phenom Matthew Espinosa attends the 2016 MTV Movie Awards. "The Vampire Diaries" actress Kat Graham attends the 2016 MTV Movie Awards. Comedian Lilly Singh attends the MTV Movie Awards. "Teen Wolf" star Tyler Posey dons a onesie to attend the MTV Movie Awards.